It's love at first sight for this move-in ready Magnolia Lakes beauty. Updated, energy efficient, and well maintained, this southern exposure lake view home will have you hooked. The open floor plan & neutral colors of this 3 bedroom, 2 bath, 2 car garage home feels large. Upon entering the foyer your eye is drawn to the new beautiful porcelain plank tile flooring that flows throughout the main living area. 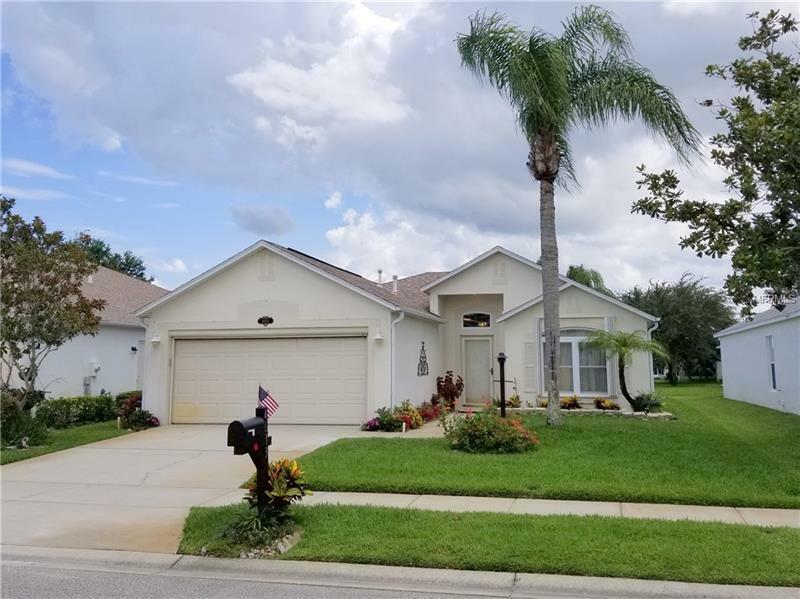 Fresh interior paint, trim and upgraded solid surface countertops in the kitchen give you a "new house feel" & enjoy serene views of the landscaped pond from all major rooms. This split plan offers the master suite privacy away from the secondary bedrooms and bath. The large master bedroom suite, and the master bath features a dressing area, a private shower & toilet area, and walk-in closet. Bedrooms two and three each have large closets and share the additional bathroom. The enclosed lanai has custom inlaid tile flooring, is screened and has vinyl windows for weather protection and added privacy. Features include: Remodeled master bathroom, Upgraded windows throughout, motorized screen for garage door, hurricane accordion shutter, updated light fixtures including LED mini spot lights in the kitchen, under cabinet lighting, ceiling fans in all rooms including lanai, Bryant 17 Seer Air Cond./4 yrs.old, natural gas hot water heater/4yrs.old, extended garage space. There is also an exterior door from the master bath to a large open-air concrete patio. Community pool & basketball court.